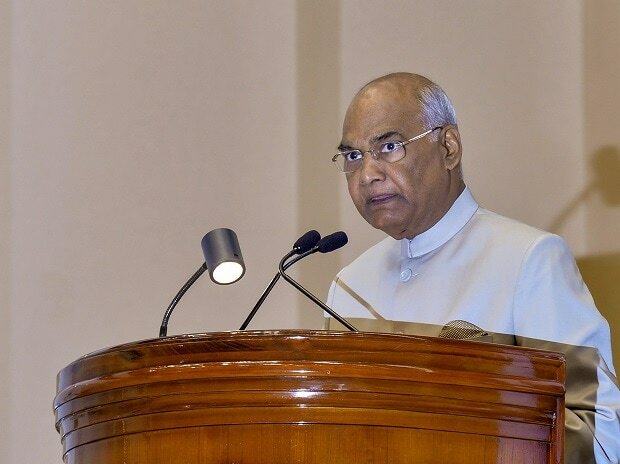 President Ram Nath Kovind has invited the Czech companies to take advantage of opening of defence manufacturing sector in India and set-up joint ventures to produce for the domestic market. Addressing India Czech Republic Business Event during the second day of his visit in the central European country on Friday, the President said, "The companies should fulfil the growing requirements of the defence industry in the domestic and global markets with the help of a joint venture. After holding a delegation-level meeting in Prague, President Kovind stressed that there is immense potential for India-Czech defence collaboration to meet the growing requirements of the Indian defence industry. The President further stated that Czech automaker Skoda, and its parent company, Volkswagen, have announced to invest one billion US dollars in India under the 'Make in India' initiative. India and the Czech Republic also signed five MoUs in the field of laser technology, exemptions from visa requirements for diplomatic passport holders and Work Plan for support of Indo-Czech projects in diverse areas of science and technology. In a joint statement issued after the meeting between President Kovind and his Czech counterpart Milos Zeman, both the countries agreed to jointly cooperate in the fight against terrorism in all its forms and manifestations. The two sides expressed desire to further strengthen their strategic ties and urged all countries to deny safe haven to terrorists and disrupt terrorist infrastructure, financing and their cross-border movements. This is the first visit of an Indian President to the Czech Republic in 22 years after former President Shankar Dayal Sharma had visited the European nation in 1996. India and the Czech Republic today finalised 5 MoUs including in the fields of laser technology, exemptions from visa requirements for Diplomatic passport holders and Work Plan for support of Indo-Czech projects in diverse areas of science and technology. The two countries also decided to initiate co-operation for peaceful use of nuclear energy.